Pinnacle Group Investigations brings together the very best and experienced in professional investigators serving the Tri-State area to include Connecticut, Massachusetts and Rhode Island. With direct experience in handling over 10,000 cases, we have the know how to come up with the best solution no matter what your investigative goals are. This experience combined with modern techniques gives us a very high success rate that translates to effective investigative outcomes on time and on budget. Pinnacle Group Investigations was founded by investigative expert Kevin Porter. Kevin is a veteran investigator with experience as a operations manager and field investigator for some of the largest investigative firms in the Northeast. With over 20 years of investigative training Kevin Porter is sure to have the expertise needed to surpass all expectations in achieving your goals. Whether you suspect that insurance fraud is taking place, or you are wanting to conduct surveillance to uncover infidelity or workplace violence, our private investigators can review your specific situation and recommend the most effective investigative solution. At Pinnacle Group Investigations, we believe that having accurate information is crucial to making educated life and business decisions; which is why we will go above and beyond to ensure you receive the absolute best service. 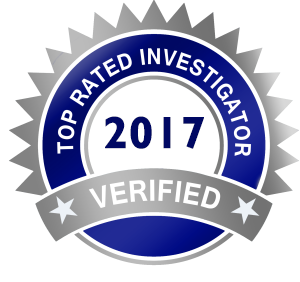 Experienced private investigators with a 15 year proven track record of successful investigation assignments. Reliable private investigators dedicated to your situation. Innovative investigators that work outside the status quo to find creative solutions for our cases. Considered the most aggressive investigative team. Most private investigators consider the assignment as being complete when they obtain their client’s goals. At Pinnacle Group Investigations, our investigators work your case until we have obtained all the evidence, and then more, to ensure you win your court cases. Why Work With Pinnacle Group Investigations? The information that is found on this website should not be taken as legal advice. We are not attorneys or law practitioners. If you are in need of an attorney, our private investigators work with attorneys across the United States and can recommend an attorney that can best represent your needs. Pinnacle Group Investigations - We Uncover, You Discover!